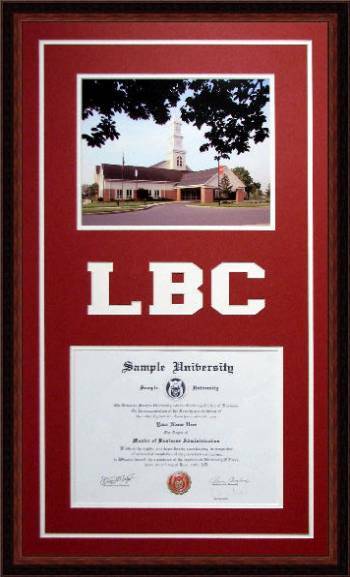 Lancaster Bible College Diploma Frame. We can Custom make a Diploma Frame for any College, University, Alumni, sorority or fraternity achiever. These diploma Frames make great graduation gifts and a way to congratulate your graduate.